St. Lawrence, nws, lynn, 28.-Keith Ellis, who is in traffic training, is at the controls at the Eisenhower lock outside of Messina New York Monday August 8, 2005. Ellis looks out the window as the Pinglen heads into the lock. 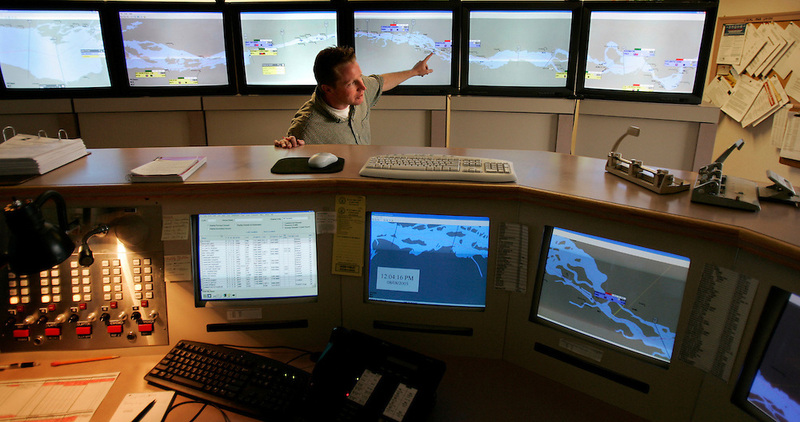 The monitors show the locations of ships in the seaway system.